The last time Formula One was racing in America, the race was won by Lewis Hamilton, his second win in a row, and a young driver named Sebastian Vettel made his F1 debut driving for BMW-Sauber and became the youngest driver to score a point. Five years later, Formula One returned to America and it was once again Lewis Hamilton who scored the win and Sebastian Vettel, this time driving for Red Bull, once again scored points but finished 2nd instead of 8th. As sometimes seems to be the norm rather than the exception in Formula One, there was controversy before the race even started. Both Ferrari drivers were slated to start in even-numbered starting spot with Massa in 6th and Alonso in 8th. There was concern that those starting in even-numbered spots would lose out on the start because of how dirty and slick the track was off the racing line. So Ferrari manipulated the starting spots by changing Massa’s engine. The result was both cars starting on the racing line with Alonso in 7th and Massa in 11th. The strategy gamble paid off for Alonso as he was able to climb from 7th to 4th in the first corner while other drivers struggled for grip. Vettel led away from pole with Webber jumping Hamilton as the pair swapped second and third. Webber didn’t hold on to 2nd for long as Hamilton used the DRS to pass Webber for the spot on Lap 4. Webber didn’t stay in 3rd for long. On Lap 16, his car ground to a halt shortly after his team informed him that his KERS had failed. Later reports from the paddock suggested that the fatal fault with Webber’s car was an alternator failure. Up front, Vettel’s lead over Hamilton fluctuated. Hamilton would quickly close to within DRS distance but almost as quickly fall behind Vettel. This happened both before and after both drivers made their one and only pitstop. By Lap 34, Hamilton had latched on to Vettel and got into DRS range but just didn’t have enough speed to overtake the Red Bull. It was eight laps before Hamilton was able to get enough momentum from the DRS and slipstream to get by Vettel but when he pulled out to make his move, Vettel let him by rather than risk retirement from a collision. That would end racing up front as Hamilton pulled just enough in front to give him a comfortable win. On the podium, Hamilton said that it was a long time since his last win but it’s only been two months and six races since his win at the Italian Grand Prix. Vettel’s second place extended his lead in the points but Alonso’s third place meant that it wasn’t enough to clinch the title this weekend. Despite the gearbox change, Massa was able to climb from 11th to finish 4th. Jenson Button may have started 12th after missing Q3 due to a throttle issue but he put together a solid race to finish 5th. Rounding out the points paying positions were Kimi Raikkonen, Romain Grosjean, Nico Hulkenberg, Pastor Maldonado and Bruno Senna. 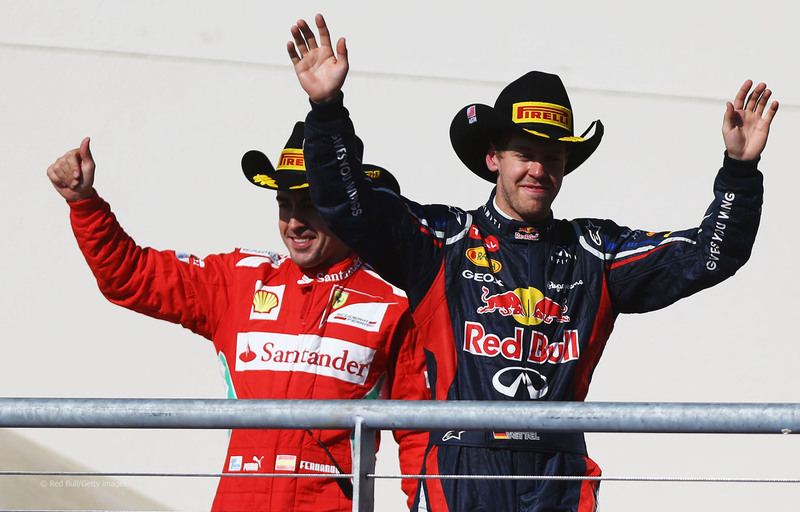 The result means that Vettel gained only three points on Alonso in the World Drivers’ Championship standings. It’s now a 13-point lead for Vettel over Alonso. While Vettel didn’t clinch his third-straight WDC this weekend, his second-place finish was able to clinch Red Bull its third straight World Constructors’ Championship. In its other WCC seasons, Red Bull’s Vettel was able to win the WDC so history gives the edge to Vettel in the chase for the Championship. With Vettel only 13 points up on Alonso, if Vettel doesn’t score in Brazil, Alonso needs to finish 3rd or better. Even if Alonso were to win, all Vettel would have to do is finish 4th. They would be tied on points but Vettel would be World Champion based on more wins. Alonso can still win if he finishes 2nd and Vettel worse than 7th or if he finishes 3rd and Vettel worse than 8th. If Alonso finishes 4th or worse, Vettel will be the world champion for the third-straight year. Before Friday running was even done at the Circuit of the Americas, F1 supremo Bernie Ecclestone says that he wants three Grands Prix per year running in the United States. Despite repeated bashing of track builders and race organizers at both Austin and New Jersey, Bernie says that, in addition to the race at Austin, he wants F1 to run the New Jersey race and another in Southern California. Speculation has already begun as to where Ecclestone is targeting for a third Formula One United States Grand Prix. Long Beach held the United States Grand Prix West for eight years before becoming a CART/IndyCar event but would need to build a permanent pit complex to have a hope of getting an F1 Grand Prix. Laguna Seca would literally need to move mountains to get the track up to F1 safety standards. Sonoma is the only other major road course in California but, while the IndyCar layout has promise for a good race, that’s in northern California in the Napa Valley “wine country” near San Francisco. Bernie specifically suggested Los Angeles as a venue but I’m not sure where they put it unless Ecclestone finds someone willing to build a new permanent track near LA. A report by a writer that Joe Saward referred to as Formula One Management’s “pet journalist” says that FOM is exploring the possibility of launching a GP2-style series in the Americas. A regional GP2 series isn’t unprecedented. 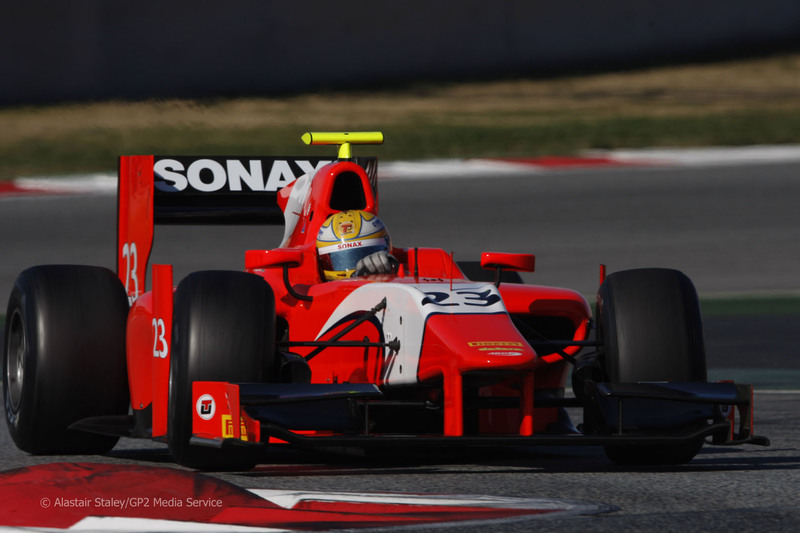 GP2 Asia ran during the GP2 winter off-season for four seasons. Prior to this season, GP2 ran primarily in Europe and only ran in Asia this year when Singapore was added to the calendar. Running a GP2 series in the Americas would serve two purposes. 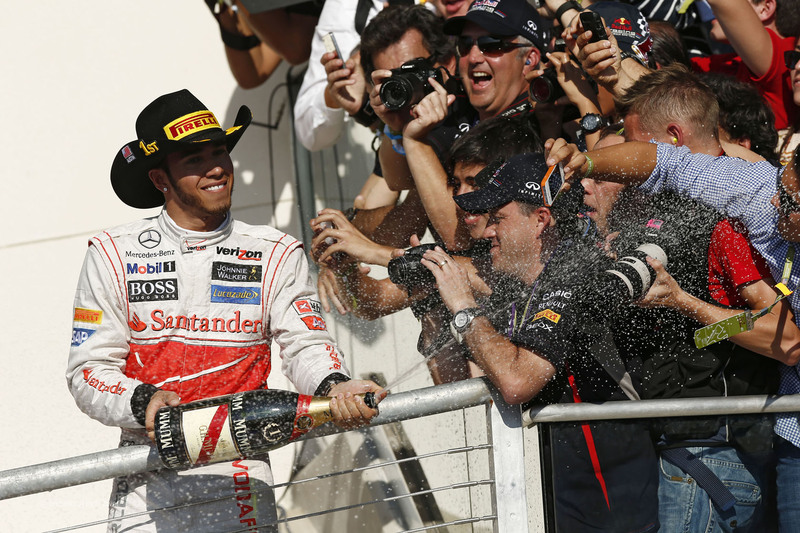 First, it would increase Formula One exposure in North America. And second, it would provide a training ground and feeder series for local talent that would presumably be less expensive than going through the ladder series in Europe. Right now, open-wheel racing in North America, in the form of IndyCar, is struggling. It’s America can barely support one open-wheel series. Since the USA would likely hold the majority of North American rounds, the series’ popularity in America would determine its ability to survive. Given that NASCAR seems to be crowding out the market for racing in America right now, it’s unlikely that a GP2 Americas could survive seeing as IndyCar is barely holding on and Grand-Am and American Le Mans had to merge to get their car count up. 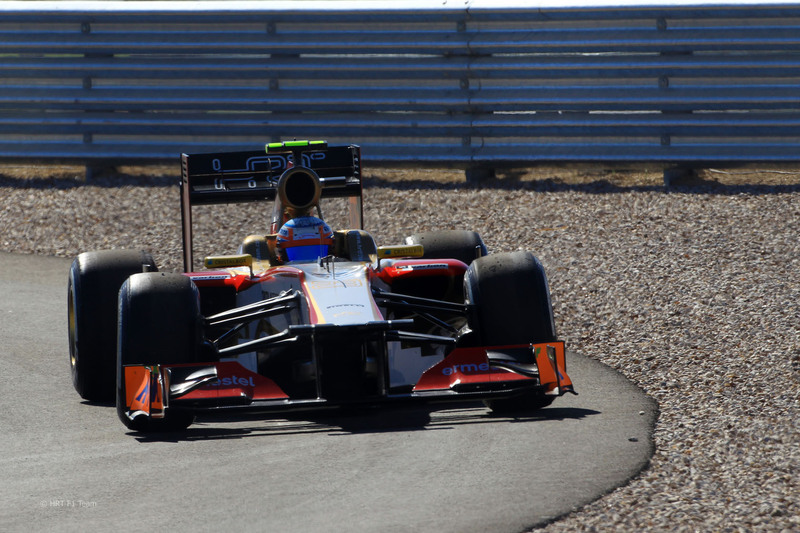 It’s early days for the proposed GP2 Americas but no one seems to think its viable. The series would have to see drivers graduate to F1 to gain traction in North America. None of the GP2 Asia drivers skipped the main GP2 series en route to F1 so GP2 Americas would be a GP2 feeder series rather than an F1 feeder series. Without this series elevating talent that would be demonstrably among the best in the world, I don’t think America would care. Notice how I left out South America. The series will definitely be popular there. They love their racing. With Joe Saward estimating that a GP2 Americas series would cost $2 million per car, I’m not sure there would be enough interest from sponsors to fund a series running in Brazil, Argentina and Mexico. Speaking of F1 trying to gain a foothold in America, Adam Cooper had a funny/facepalm-worthy anecdote from Saturday’s action at the Circuit of the Americas. After writing about the difficulties of funding a Formula One team in my race recap for the Abu Dhabi Grand Prix, in the intervening two weeks since that race, HRT announced that it was for sale. Majority owner Thesan Capital, who bought into the team in July 2011, announced that they were putting the team up for sale for the low, low price of €40 million. The financial situation seems very dire for HRT. Spanish sports newspaper AS reported that the team is planning to fire 32 employees to cut costs. If a buyer isn’t found very soon (AS suggests as early as the beginning of December), the team will shut down. The team has also reportedly considered withdrawing from the championship rather than continue to lose money. The rumoured deal to sign driver Ma Qing Hua is also on hold pending Ma being able to bring in €30 million in sponsorship funding to the team. AS also says that funding is so bad that the team’s engineers are concerned that they’re fielding unsafe cars. While Pedro de la Rosa’s brake failure at India wasn’t entirely unexpected given HRT doesn’t have the best track record with brake cooling, Nico Rosberg says that Narain Karthikeyan told him that their accident in Abu Dhabi was as a result of a steering failure. Two basic mechanical failures in consecutive races almost seems to validate the engineers’ concerns. Next season will see a minor tweak to the DRS rules. Drivers will no longer get unrestricted use of DRS during practice and qualifying. Instead, DRS will only be able to be activated in the designated DRS zones. In other words, you can only use DRS where you can during the race. This weekend’s inaugural US Grand Prix at Austin was also the penultimate race for long-time US F1 broadcast rights holder Speed Channel. As I wrote at length about in October, NBC Sports Network outbid Speed (and Speed’s owner Fox Broadcasting) for the rights to F1 starting in 2013. My biggest question was who would NBC Sports put in the broadcast booth. Their IndyCar coverage had improved in recent years but started poorly when NBC SN was still known as Versus. Fortunately, NBC picked up the available crew from Speed to form a three man booth of Leigh Diffey, David Hobbs and Steve Matchett. Bob Varsha is still under contract with Speed/Fox and is expected to continue with motorsports and car enthusiast broadcasting when Speed rebrands to Fox Sports 1. Diffey was Varsha’s replacement when Bob was doing non-F1 work for Speed and was previously play-by-play voice of F1 on Australia’s Network Ten. In addition to his F1 duties, Diffey will also replace Bob Jenkins as IndyCar play-by-play man on NBC SN. While three of Speed’s F1 team were confirmed at NBC Sports Network, pit reporter Will Buxton is still without a confirmed home for 2013. Buxton serves as world feed commentator for GP2 and GP3 in addition to his work as Speed’s on-site reporter. I doubt that Buxton will have a job finding a job with anyone given his credentials. However, an interesting rumour was reported by Speed.com’s Marshall Pruett. The veteran IndyCar reporter says that NBC is interested in signing Buxton to a multi-series deal which would see him working on both F1 and IndyCar with Diffey. I don’t know if that means Buxton would be a full-time F1 pit reporter and travelling to America to do IndyCar on F1 off-weeks or if he’d be full-time for IndyCar and part-time F1. I’d prefer the former but wouldn’t complain about a Buxton and Miller grid run on IndyCar. Speaking of TV broadcasting, in Canada, half the country couldn’t watch the race live. Canadian broadcaster TSN decided to show a Canadian Football League game on their main channel and NASCAR’s season finale on TSN2. Their sister network, CTV (both TSN and CTV are owned by Bell Media), was showing a simulcast of US network Fox’s nationally broadcast NFL game. The race was shown on CTV Two in Canada. The problem with showing the United States Grand Prix on CTV Two is its lack of availability. 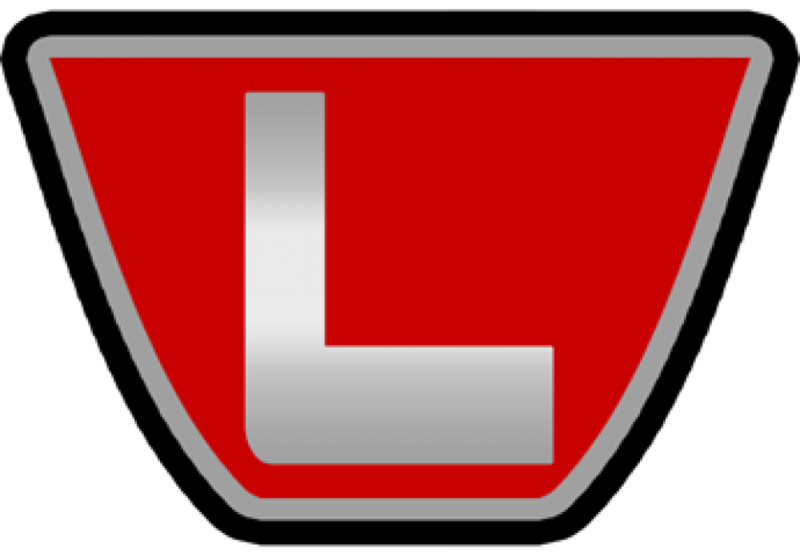 It’s a rebranding of the former A-Channel which was a series of local and regional channel across Canada. CTV Two is only available in the south mainland of BC, Alberta, southern and eastern Ontario and Atlantic Canada. That left a large portion of Canada without a legal way to watch the race. I’ve said before that TSN’s attitude to open-wheel racing is poor at best. They’ve been treating Formula One and IndyCar as the proverbial redheaded stepchild. IndyCar had five of its 15 races shown on tape delay. Formula One is generally treated better in terms of live broadcast but the races usually aren’t replayed. That’s not to mention that they haphazardly cut away from qualifying after the final results are shown and the race after the interviews. Prior to 2009, there was a 30-minute pre-race show and a post-race recap to the next half-hour. Now, it’s show up five minutes before the race and leave when they feel like it. It’s just a shame that most countries get some form of locally produced F1 coverage and Canada gets this. 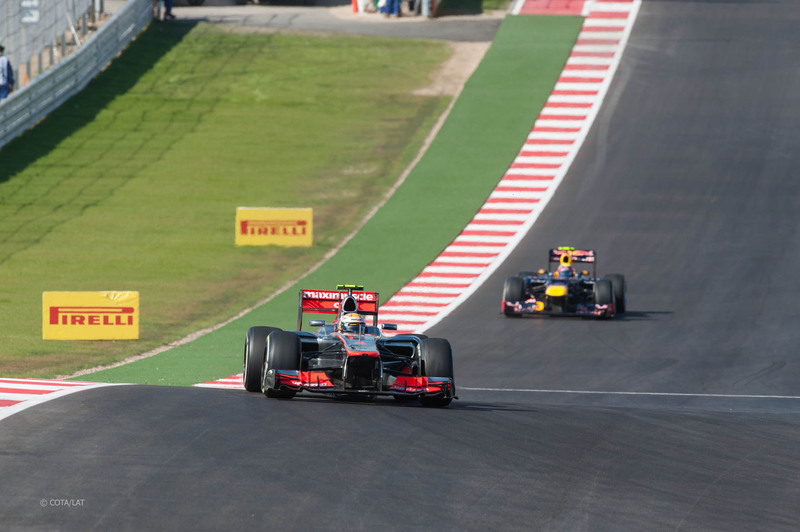 The next round is the 20th and final round of the 2012 Formula One World Championship. 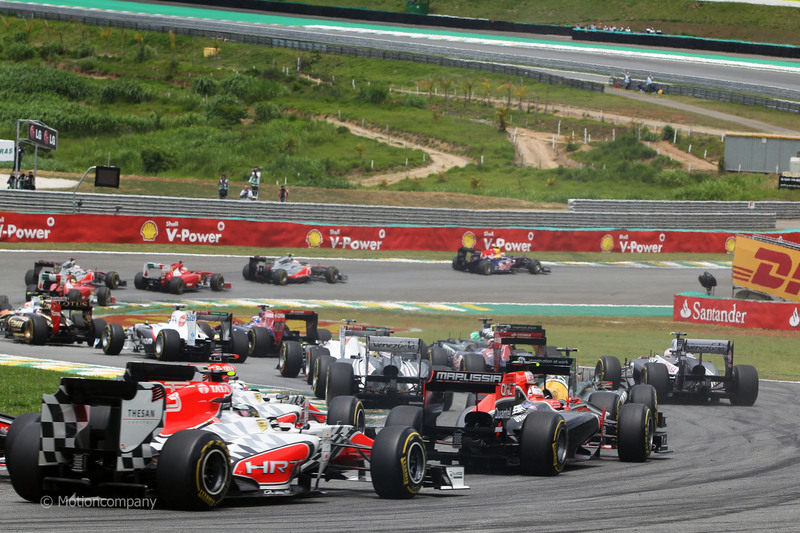 Once again, the season ends at the spectacular Interlagos Circuit for the Brazilian Grand Prix. This track isn’t the best on the circuit for passing but that doesn’t mean it isn’t a challenge. The signature Senna S is one of my favourite turns in all of F1 and the best passing opportunity on the track. Sectors two and three are dominated by low and medium-speed corners that rely more on mechanical grip than downforce. After this weekend, it seems as though the only thing that can stop Red Bull is its nagging alternator and KERS problems. For two days in Austin, the RB8 looked like the fastest car on the grid. However, come race day, the MP4-27 and the F2012 both come alive. Because McLaren has better single-lap pace than Ferrari, they’ll be a bigger threat to Red Bull’s chances of victory in Brazil. Ferrari and Alonso will need more luck than skill to win the World Drivers’ Championship.